Did you see the penstemons at this blog post? Photo courtesy Jennifer Jewell – isn’t this beautiful? 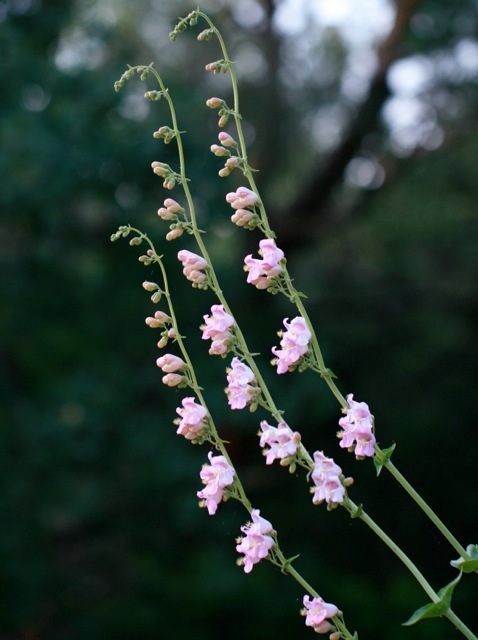 Jennifer Jewel has a really nice set of photos about Penstemon species at her blog, In A North State Garden. Go check it out and then go plant some, if this works for your specific region – remember to Garden Local! The Donnell Garden is iconic: that first-ever kidney shaped pool surrounded by grass has a lot to answer for. Thomas D. Church designed it and millions copied it. Church wrote an influential book, Gardens are for People, that is still a reference source for designers and architects. 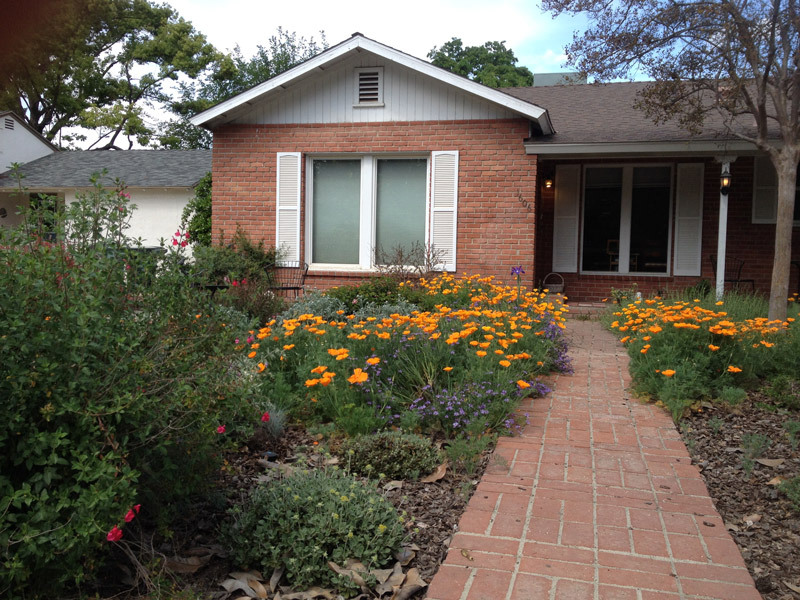 He practices in San Francisco from the early thirties into the 70s, and, yes, he did use native plants, as is evidenced in the above photo where he created a deck around existing live oaks. 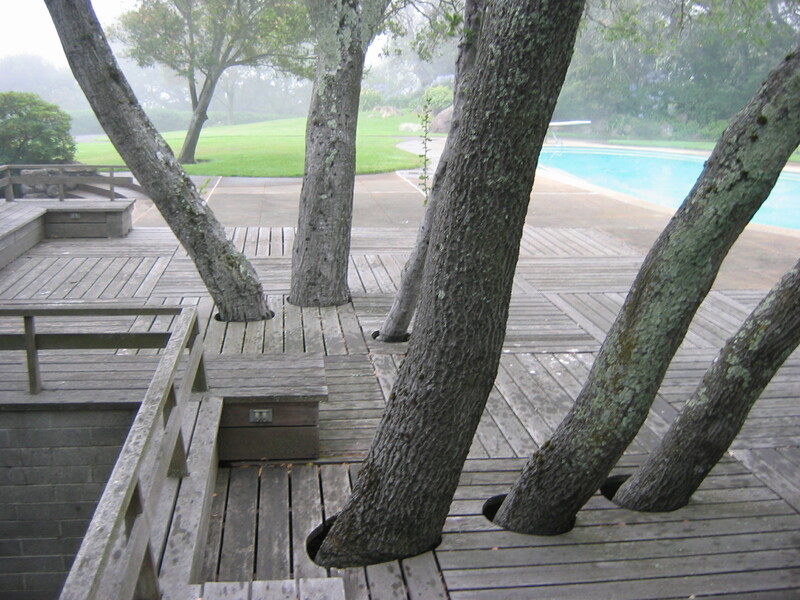 While we would hesitate to gird live oaks with decks now, it was a 60s look. And Church was criticized for over-emphasizing hardscape: big swaths of concrete and pools and decks and pavilions. After all, he did think gardens were for people, and didn’t really focus on the idea that gardens were for the plants, insects, animals and soil, too. Prior to this, gardens were almost exclusively copies of the English model or the formal French model, so we are slowly working our way forwards and backwards in time to a more nature-centered idea. We edge closer to getting it “right” – however we define that. So, keep on gardening.